A Foudre is a large wooden vat, it can contain up to 300 hectoliters and more. This word is coming from the German " Fuder " translated as « cartful, containing », having entered in the French language in the 16th C. This type of vat is to be found particularly in the Mediterranean vineyards. The use of Foudre for maturation results from a long wine tradition, but its interest is also linked to the volume, the thickness of staves and the age of the vat. The micro-oxidation: Stephane Bourret from Domaine Bastide Blanche at Bandol said that « Foudre is essentially bringing (as anymaturation in wood) a slow oxigenation of the wine which generate a polymerization of flavanoïdes compounds. These non polymerized compounds does’t have tannic characteristics, they are only forerunners of tannins and have a bitter dimension. Polymerization produces development of tannins. In a small wooden content (barrel or demi-muid) there conversly no addition of oaky flavours. Even with brand new Foudre, the extraction of wooden taste is much less important than regular oak barrel, related to ratio surface and volume of wine : the bigger the less oaky ! 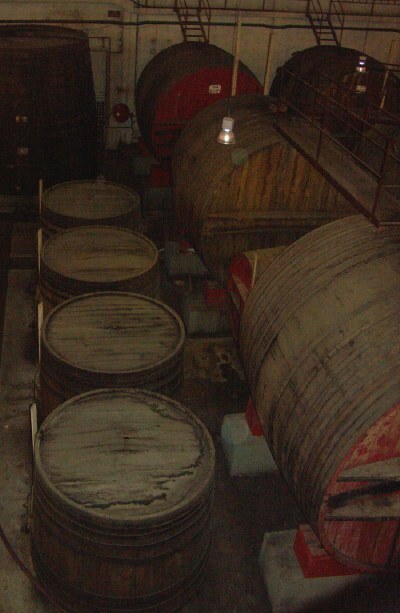 If we want an oxygenation of the wine without addition of aoky notes, it is necessary to use these big barrels : the more the Foudre is small, the stronger its wooded taste will be. According to vintages, the choice of various size is crucial : on a rather light vintage (on 2002 in Bandol) it is better to put it in the biggest as possible helping the wine of " to hold ". This wooden maturation is possible only if the wine has a sufficient tannic structure. If the wine is rather light (therefore not enough phenolic compounds) oxidation gives a quick polymerization (few phenolic compounds in " work "). Absorbed oxygen is going to dissolve into the wine and will produce an oxidative problem. The Art consists in controlling this oxygenation without arriving oxidation. What grape varieties to use? « More than the grape variety c ‘est the type of wine wewant to make which determines this maturation. 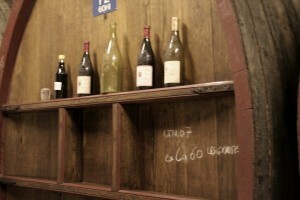 If we wiant a light wine, Foudre maturation is not necessary. If we want a very concentrated wine, it is necessary to have long vinification in order to have a big extraction and therefore having an important wood maturation» thinks Stephane Bourret. «Reductive grape varieties are necessary for this kind of maturation » or other grapes coming from very good years. What type of style Foudre is bringing ? Stephane Bourret notes that the age of Foudre is very important and have a strong influence on the addition of taste: « One young Foudre will bring rather frank wooded notes (coffee, grilled) while an old one will give notes more spices (pepper, nutmeg). The older, the more the notes of old wood and brushwood will appear. Older again, the notes of old dry wood will appear. 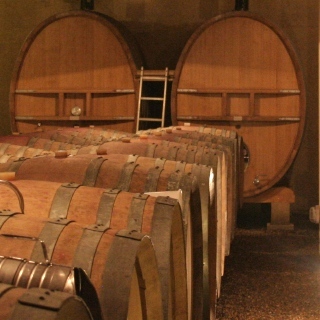 These Foudre may "dry" the wine giving astringence notes without improving anything. It is therefore necessary to change regularly a part of Foudre. 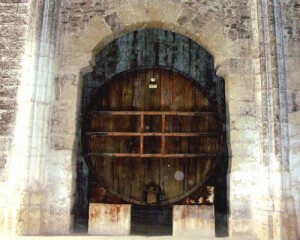 As long as Foudre respects " the fruit " of the wine, Foudre is useful. Several technical advantages are significant due to their volume: less manipulations is necessary to accomplish (save time, handiwork, less risk of oxidation) than on the smallest volumes of kegs. 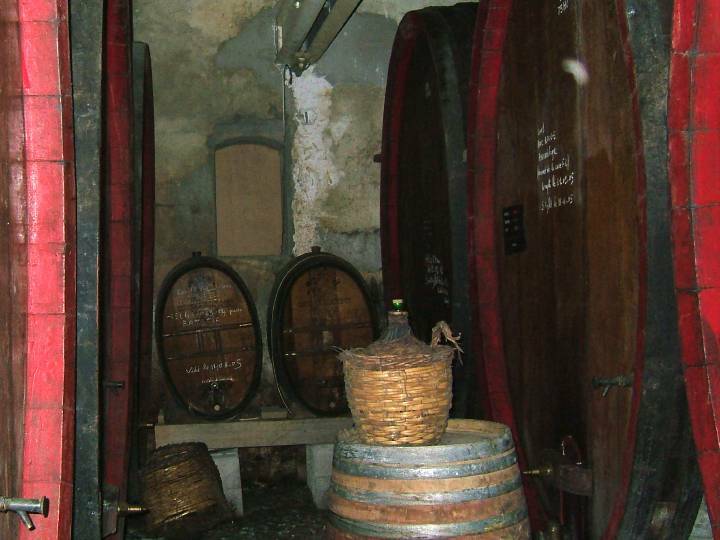 Disadvantages are: price, often delicate cleaning to maintain all wooden porous Foudres, fragile (they need a lot of very hot water to clean), and his conservation: it always must be full (wine or water). 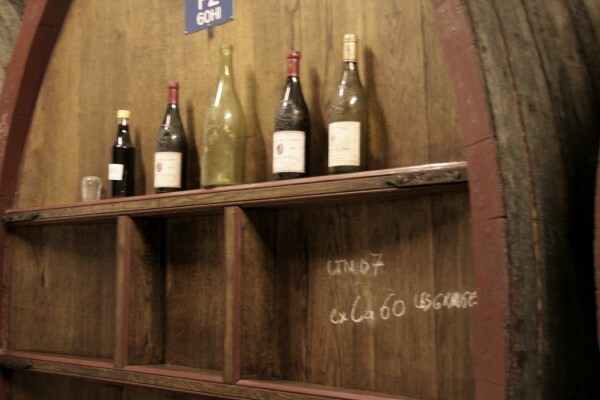 Stephane Bourret adds that « Foudre is a living entity in which they put some wine. If we put wine without bacteriological defect, a bacteriological equilibrium is going to settle, that shouldn’t be destroyed by the use of chemical to clean. This kind of vat is interesting for its ability to oxygen and giving a light aromatictouch . All grape varieties (particularly the Mediterranean said grape varieties) are appropriate in this type of maturation because it is very respectful to the wine. If we want to protect the renowned diversity of French wines, maturation in Foudre can go in this way !